As 2018 is slowly but surely running out of the hourglass, it becomes time to plan ahead – and not only where we’ll be enjoying year-end holidays, but also how we’ll approach 2019, particularly with regards to interior design trends. And since our team of interior design experts have been keeping a close eye on forthcoming trends, we are proud to say that we’ve got a firm grasp on next year’s “what’s hot” list. And remember, you read it here first! The Scandinavians were some of the first to realise that kitchen cabinets don’t need to be adorned with overly decorated surfaces and intricate knobs. After all, it was they who started using leather rings or strips as handles – something which furniture store IKEA also started offering to clients. For 2019, this trend of a less-is-more look for kitchen cabinets is continuing, with the main aim being of choosing cabinetry with no handles or knobs at all. Another option would be to opt for cabinet handles as cut-out holes in those cabinet doors (playing with various shapes and sizes)! It was only a matter of time before this happened… Considering how much we use our kitchen sinks every day, it comes as no surprise that someone decided to put (much) more emphasis on how sinks look. What does 2019 hold for kitchen sinks? Embossed designs, metallic accents, and a range of colours to kick our rinsing spaces up a notch. Some designers have even gone one step further by optimising the functions of the kitchen sink. That’s resulted in sinks with removable cutting boards, integrated coasters and pot holders, even ice buckets! Thus, don’t be surprised to discover quite a few kitchen sinks next year that not only look unique, but also save a lot of space! For the past few years, recessed lighting was the thing to have in your kitchen. Next year, suspended lighting is back. That means opting for beautiful pendants dangling above your island and/or countertops. 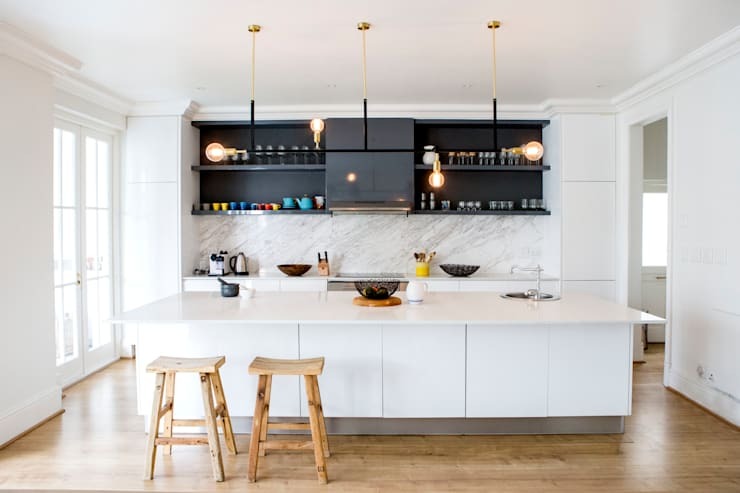 And to enhance this glowing feature (and ensure your pendants become a main design element of your cooking space), look at interesting designs with colourful wiring, funky shapes, various heights, etc. With a lot of us putting emphasis on convenience and Instagram foodies, this 2019 trend is certainly no surprise: switching out dried herbs hidden in a container for an indoor herb garden. 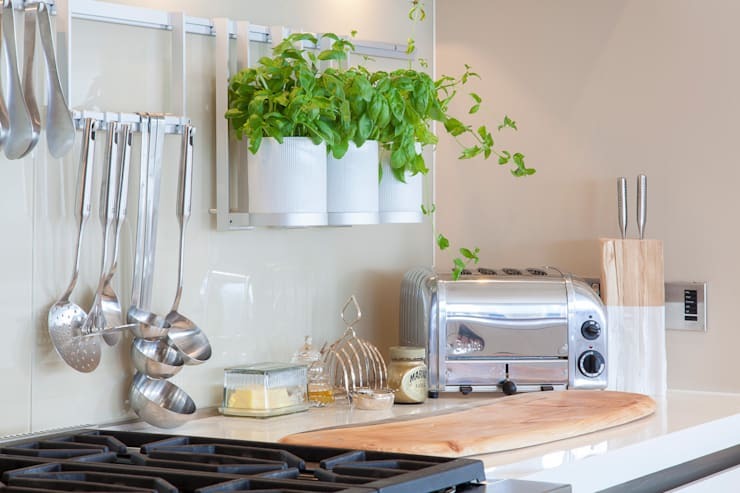 In addition to ensuring freshness, colour and scent for your kitchen, and indoor horticulture also provides the notion that you mean business when it comes to cooking and spicing your cuisines. And since there’s a water source so close to your indoor herb garden (your sink), this 2019 trend becomes even more practical and desirable. Just be sure to include a decent amount of sunlight for your kitchen produce by placing them near a window. We don’t blame anybody for loving neutral and earthy colour palettes, since they always manage to make a space seem so elegant. 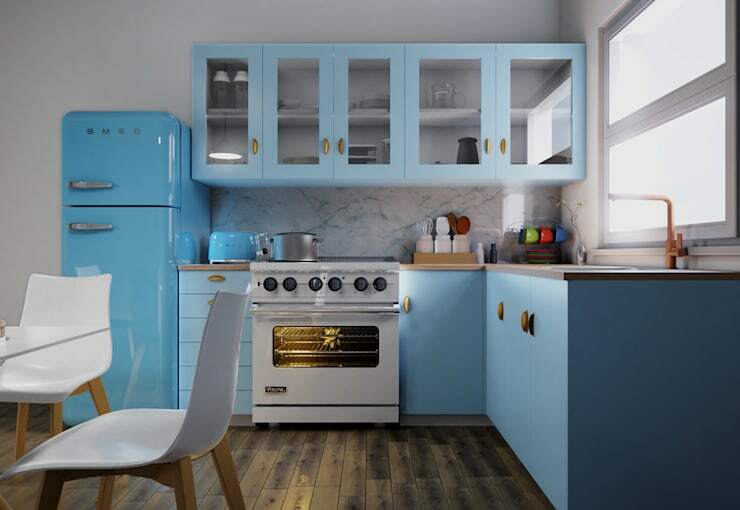 But 2019 is telling us to include some more pops of bright colours – from the countertops and backsplashes to the cabinets and accessories – for a wow-worthy cooking space. So, which tones will most of us be using to break away from monotonous and monochrome colour schemes? Pantone’s ‘Cravings’ (which draws inspiration from the plate like rich cappuccino and chocolate, spicy chilli pepper and cayenne… ); darker green tones (like olive) and eye-catching blues (from icy beach-house blues to bold navys). 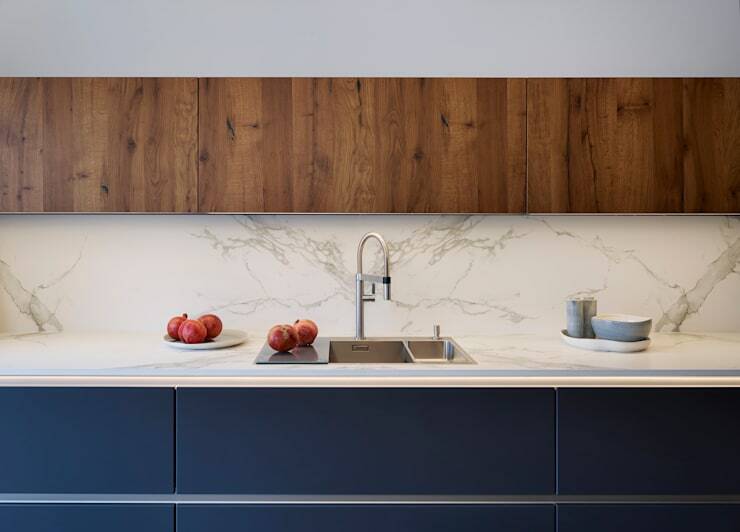 Planning your on-trend kitchen for 2019 certainly wouldn’t be complete without taking a look at Linken Designs. An interior-design firm in Durban, Linken Designs knows how to flaunt a modern-minimalist African style with textured fabrics, modern geometric shapes, and abstract paintings that express the vibrancy of Africa. In addition to providing top-notch 3D visuals and animation (allowing the client to see precisely what is planned for his home), these seasoned professionals also assist with shopping via a spec sheet. This informs the client on where to source all the relevant items required to furnish and finish his/her space according to the correct specifications, along with quotes, product codes, etc. Speaking of great flooring options for kitchens, vinyl is especially popular for its durability and water/stain resistance. 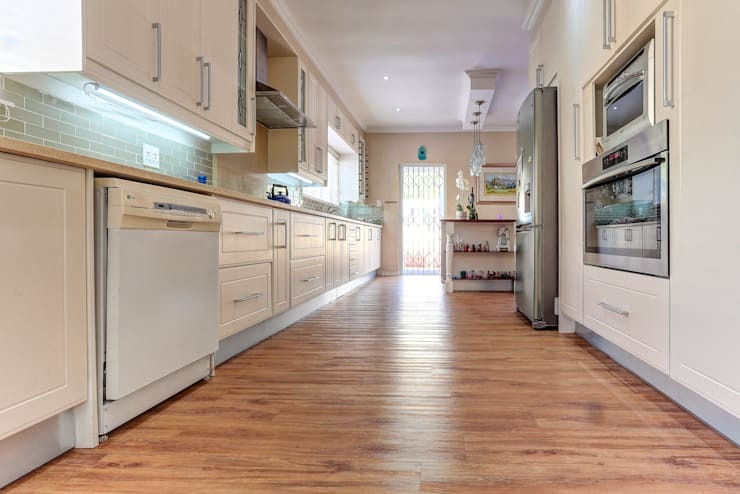 With a head office in Johannesburg (but professional sales agents available nationally and internationally), WanabiWood Flooring is the flooring expert team that is committed to assisting you with all your flooring needs. 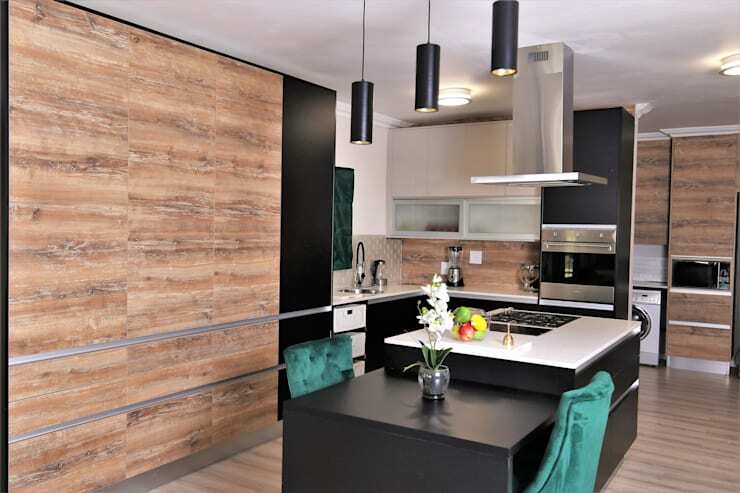 Known as one of the largest suppliers and importers of sustainable flooring solutions (for both residential and commercial projects), WanabiWood Flooring can be counted on for deluxe flooring anywhere in South Afirca and abroad as well. WanabiWood Flooring is a member of the South African Wood, Laminate and Flooring Association (SAWLFA), and NanoSilver™ Technology application. Both vinyl (100% virgin material) and laminate flooring form part of their wide range of flooring options, meaning they can commit to your specific flooring project (kitchen or otherwise) without impacting on the sustainability of our ecosystem. 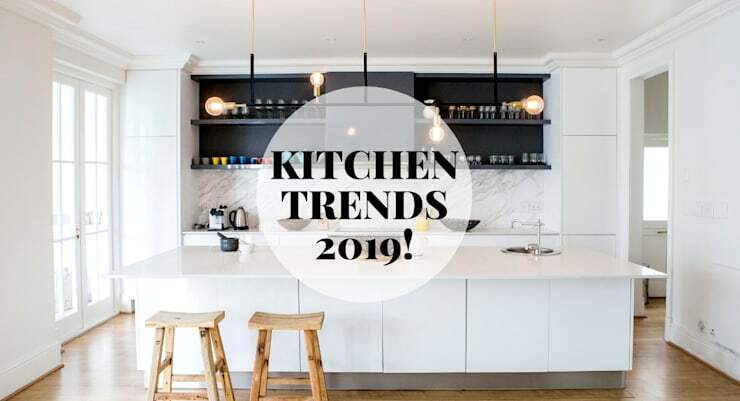 Tell us which of these kitchen design trends you’ll be following in 2019!